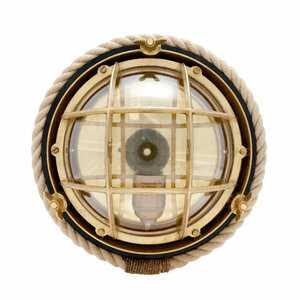 A most appreciated lighting fixture which gives a real marine feeling. Götheborg is a refined version of the original classic Vinga where the solid brass bottom plate has been exchanged for a polished brass mirror on a softly painted wooden board surrounded by a rope. Materials: Softly painted wooden board in black or mahogany colours, other parts of brass.